Have you ever wondered how certain attractions work? Or wanted to get a peek at how Disney creates the magic behind the scenes? Whether you are a newbie or Walt Disney World expert, there is something for everyone on the very special Backstage Magic Tour. 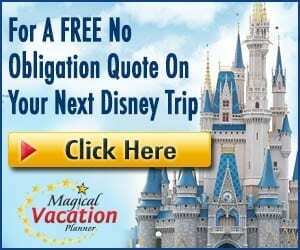 This seven-hour long tour is perfect for those who want to receive an up-close look at the artistry, technology, engineering, and backstage secrets that are behind the magic of Walt Disney World. We recently enjoyed this tour. Catch all the details below. The Backstage Magic Tour, operated by Adventures by Disney, is a one of a kind experience where guests go “backstage” and get a glimpse at what goes into creating the magic. The cost is $275 per person, though a table service lunch is included in the price. Bottled water is also included on the tour. There is no price discount for children since guests need to be twelve and over to experience the tour. The tour is seven hours and guests should expect to stand during most of the tour. The tour can accommodate ECVs and wheelchairs; however, be sure to mention you have a mobility device when you make your reservation. There is a strict no photos policy when you are backstage. You will check in at Epcot and be returned there when the tour concludes. Since you will not be riding any attractions, park admission to Epcot and Magic Kingdom is not required. Per the Disney website, note that the tour is provided in English only. Simultaneous translation is not provided, nor is it allowed. 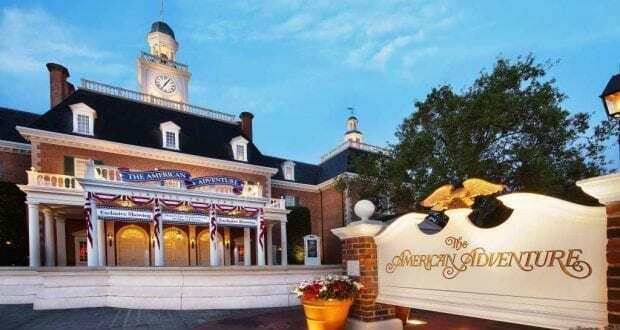 After checking in at Epcot, you will board a motor coach and drive to The American Adventure. World Showcase is closed to guests at this time, so you will see lots of Cast Members working to ensure the area is all set for guests when it does open at 11:00 am. We learned about the history of Walt Disney World—from Walt’s vision for Disney World to Roy Disney overseeing construction and making sure his brother’s vision became a reality. We also learned about how Epcot became the theme park it is today, instead of the living community that Walt envisioned. Finally, we were brought behind the curtain and learned how the show operated. When created, the show system was very technologically advanced for the late 1970s. We were surprised to learn that the system used to operate the show components is still run with the large computers for the era (like you see in Spaceship Earth). When asked about it, they said, “If it isn’t broke, don’t fix it!” The Audio-Animatronics were the most complex at the time, and it was great to see Ben Franklin up close! If you’re a fan of Epcot and The American Adventure, you’ll really enjoy this portion of the tour. Our next stop was Creative Costuming. When traveling from Epcot to this building, we were treated to more history and facts about the Walt Disney World Resort. You will learn a lot about the resort during this tour! The costuming department was very cool to visit. We were taken through the process of how costumes come to be. We learned about the differences between front line costumes, costumes for entertainment performers, and finally, costumes for audio-animatronics. 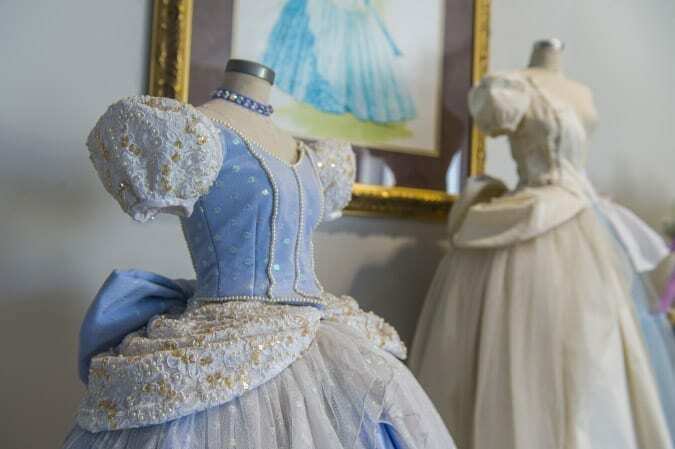 It’s a fascinating process, and the database that is used for tracking costumes is impressive. We were also able to see Cast Members in the process of sewing costumes and had a photo opportunity for a keepsake. After that, we headed to the Textile Services, which is a huge 200,000 square feet building. While visiting a laundry facility sounds like it wouldn’t be interesting, this laundry facility is like none you’ve ever seen. The system used to launder items used at the Walt Disney World Resort is amazing. The washers wash 150 pounds of laundry at a time, and the dryers dry 300 pounds at a time. We also saw the folding process. This facility alone cleans 2.5 million pounds of laundry every week, which is about 30,000 resort rooms! There are four plants on the property. The facility we visited was for the Deluxe resorts, the water parks, and all of the pool towels. We ended our visit with a unique photo opportunity! It was a fascinating part of our tour. Next, we traveled to Wilderness Lodge for lunch at Whispering Canyon Café. We had a little over an hour to enjoy the family-style barbeque lunch. Lunch here is always great. At this point in the tour, we had been standing all morning, so it was nice to sit down and relax. I sat at the table with Amber, one of the tour guides, so I was also treated to more fascinating facts and secrets! The Central Shops building was the highlight for many on the tour. It was a very cool place to visit. We learned that the shop can build items from scratch but spend most of their time on maintenance. They usually have up to 3,000 orders a day to complete. We learned about preventative, corrective, and cyclical maintenance performed on ride vehicles and auto-animatronics. We saw carousel horses, a Big Thunder Mountain train, Expedition Everest wheels and lap bars, a giraffe from the Jungle Cruise, and more. We learned about the molding process used for skins for auto-animatronics and got a chance to touch the material! 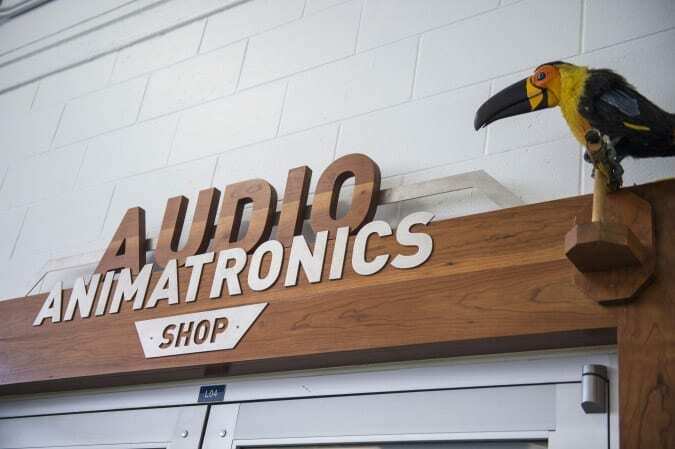 Finally, we had a chance to see in action the first auto-animatronic—a bird from The Enchanted Tiki Room from Disneyland. We learned about the history of the auto-animatronics and how complex they are today. We ended with a photo opportunity-standing in front of the large polar bear that was once in The Maelstrom attraction at the Norway Pavilion. Our last stop of the tour was at Magic Kingdom where we had a chance to walk the famous “utilidors” under Magic Kingdom. This part of the tour was my favorite because it was my first chance to walk these halls and it was so cool. We learned about how Magic Kingdom was built and why the utilidors were necessary. There are 1.5 miles of tunnels, using 9 acres of space underneath the Magic Kingdom Park. There has never been an expansion of the original utilidors. We learned more secrets behind the magic during this time, but we won’t spoil it for you! This part of the tour will be a highlight for many, and perhaps worth the cost of the tour itself! After exploring the utilidors, we headed back to Epcot. As part of the tour, you’ll receive a card that has a unique code so you can access the photos that were taken on the tour. You’ll also receive a unique Disney trading pin for your tour. These also get changed from time to time, so you’ll have a special one of a kind souvenir for your time on the tour. While the Backstage Magic Tour has been offered for years, the tour itself changes about every one to one and a half years. The next change will occur in June. In place of the Textiles plant, guests will have a chance to visit the backstage area of The Rivers of Light Show at Disney’s Animal Kingdom. The lunch venue is also changing to be served at Tiffins, which as a signature dining location, is very exciting. Beyond those changes, you’ll likely learn something new during every tour. The tour guides, who are absolutely amazing, are always learning new tidbits and are happy to share them with their groups. So, if you have been on the tour before, you may want to consider signing up again! 10 – Will it Ruin the Magic? One question that guests ask when considering taking the tour is whether or not it will ruin the magic. It’s a question worth pondering. The tour guides asked us this question at the end of the tour, and not one person raised their hand saying the magic was ruined. I felt that by learning how much time and effort goes into the smallest detail, I came away from the tour with a greater appreciation for the parks and Disney Cast Members. I don’t’ feel magic was lost; in fact, I would say the magic is more special to me because I know how much care went into creating it for guests. We do encourage everyone to try to do this tour at least once. We think you’ll walk away with more love for this amazing company and place. 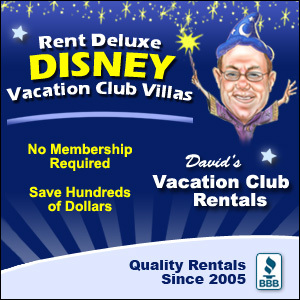 For reservations call (407) WDW-TOUR/(407) 939-8687. Editor’s Note: The Disney Company provided us with a complimentary pass to the Backstage Magic Tour. However, as always, the thoughts and opinions contained in this article are entirely our own.